Authentic frescoes made with the technique of “strappo”. Canvas in numbered series featuring exclusive finishes. 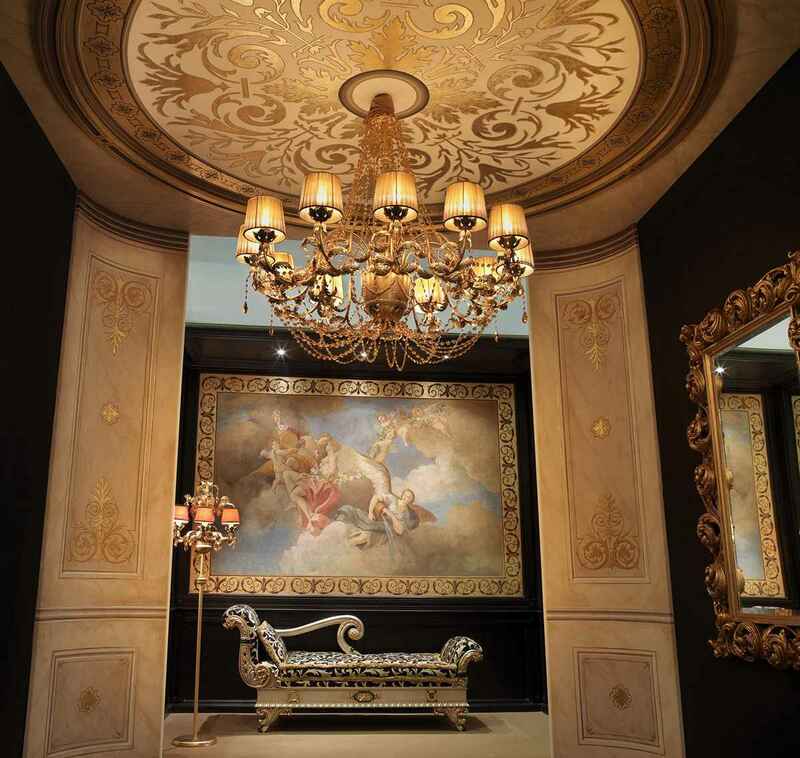 Mariani Affreschi Company has been on the international furnishing market since 1963 and produces the highest quality frescos, wall paintings and artistic interior decorations following the ancient technique of fresco and the traditional method of “strappo da muro” (pulling of the fresco). 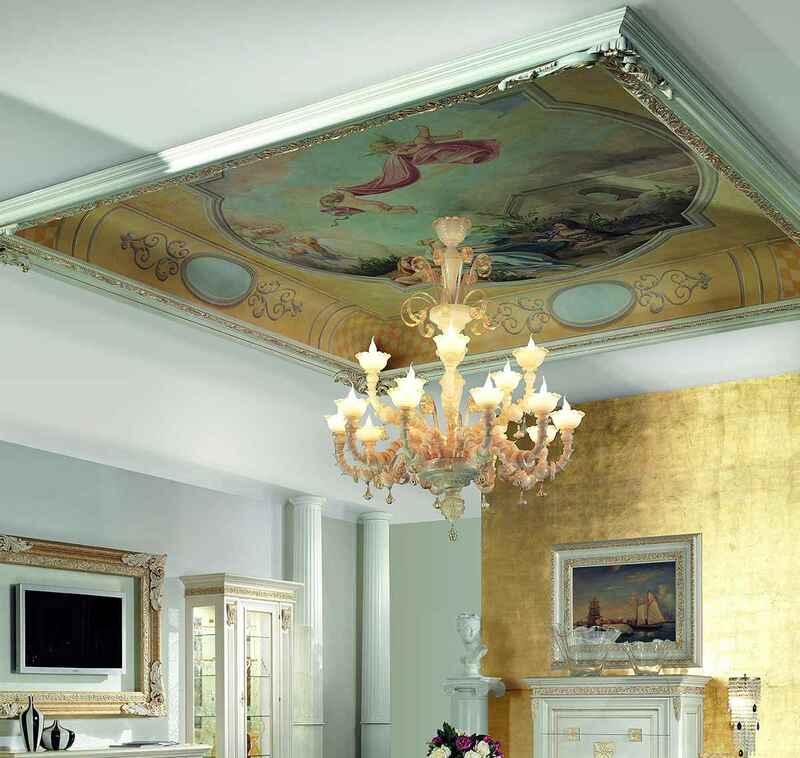 Thanks to the co-operation of Masters of Art with prestigious artistic backgrounds, Mariani Affreschi guarantees frescos in any size and design, all of high quality with a certificate of authenticity. The catalogue includes more than 2.000 subjects, from classical frescos (such as reproductions of famous paintings of Michelangelo and Leonardo) to modern frescos (even inspired to Klimt and Mucha); from effective trompe l’œil to warm still life and religious representations true to their original. 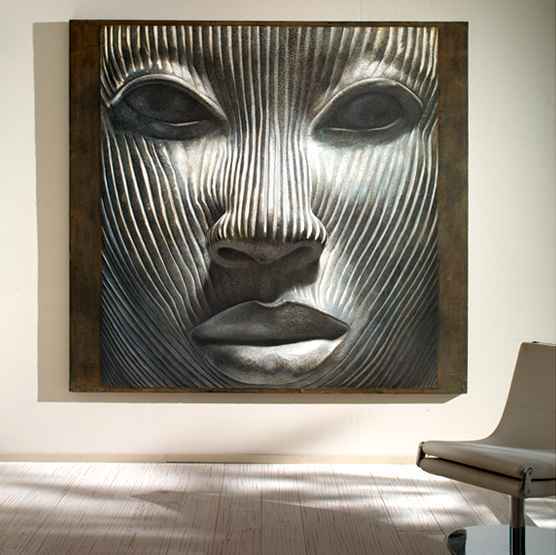 Mariani Affreschi has carried out many important projects over the years, realizing fresco paintings and decorations in prestigious private villas and commercial places worldwide. The company has sales representatives in all of the major world markets and exhibits at the main furniture and interior decorations international trade shows. Each work is a unique painting, customised, personalised and hand painted by Art Masters. 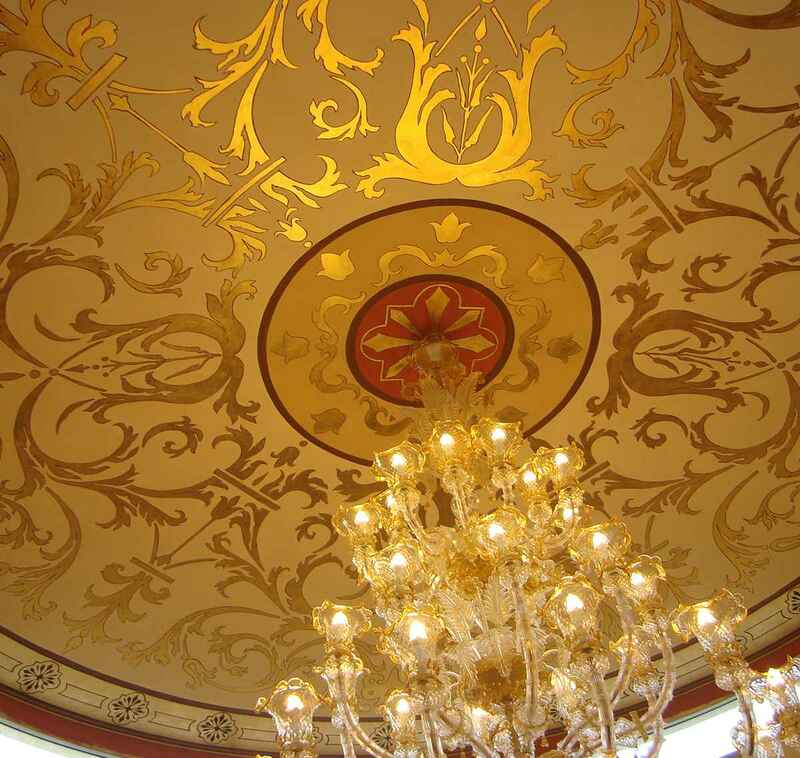 From the preliminary sketch to the final decoration on the wall, the entire process of creating the fresco is supervised by the Mariani team, who work together with the customers to find the best solution for any environment or setting. Italian plaster, natural pigments, lime. The fresco is a living work, made of land, art and human technique. It beautifully decorates any setting and stirs incomparable sensory and visual emotions. 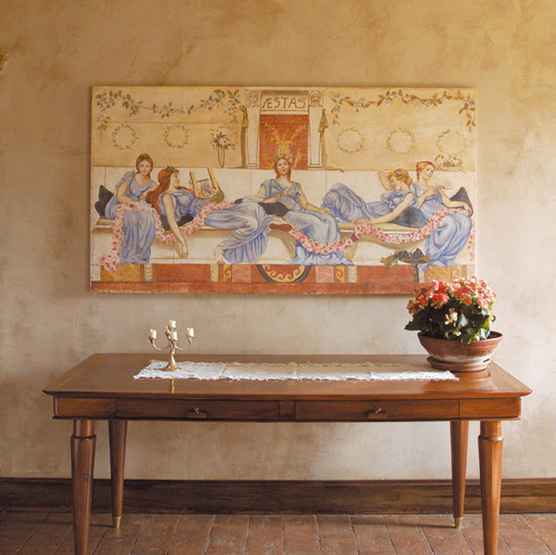 A fresco adds warmth to large spaces and gives depth, content, character and beauty to any space. 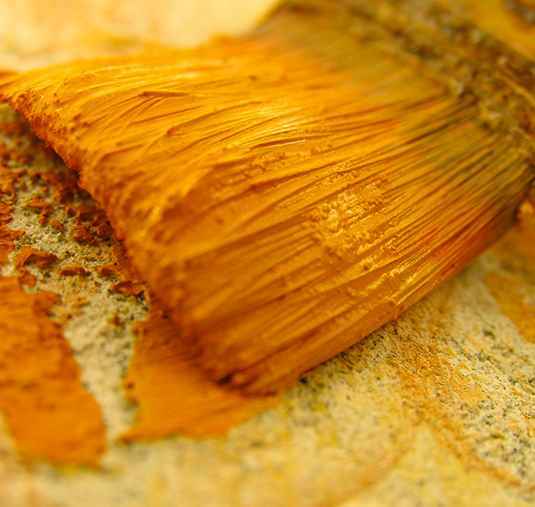 Fresco painting is a human art.